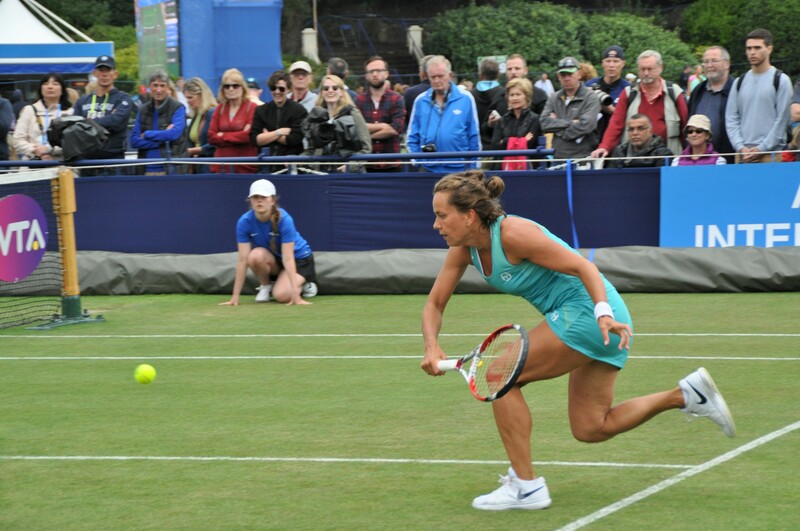 This post features my ten favourite photos from around the grounds at the Aegon International in Eastbourne on Wednesday. For a recap of the day and thoughts on the matches that I watched, check out the pair of Set Points posts up on the blog – #1 covering Halep-Duan and Kuznetsova-Barthel HERE and #2 covering Peng-Bacsinszky, Strycova-Muguruza and Radwanska-Davis HERE. 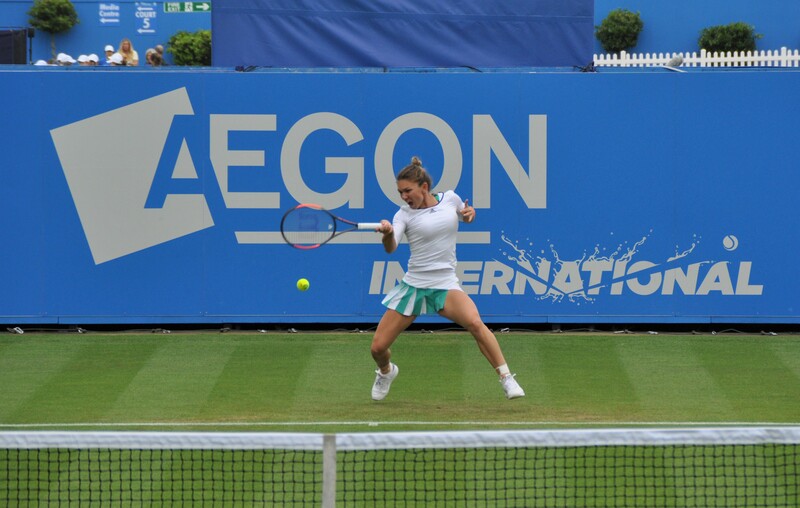 I like getting players with the Aegon International sign – here’s Simona Halep from my favourite spot behind Court 1. A backhand bullet from Halep! A not-too-thrilled, Svetlana Kuznetsova. 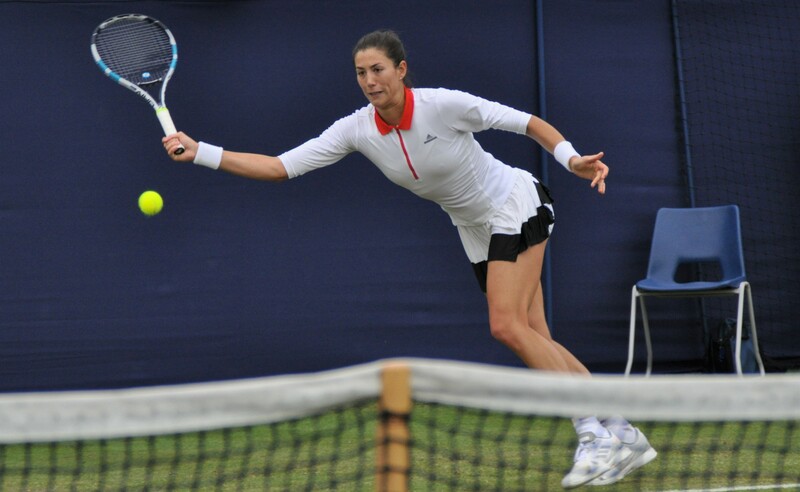 The Russian player turned her match around against Mona Barthel and is into the third round of Eastbourne. Timea Bacsinszky up close on return during her three set loss to Peng Shuai. The latest installment of air Timea! 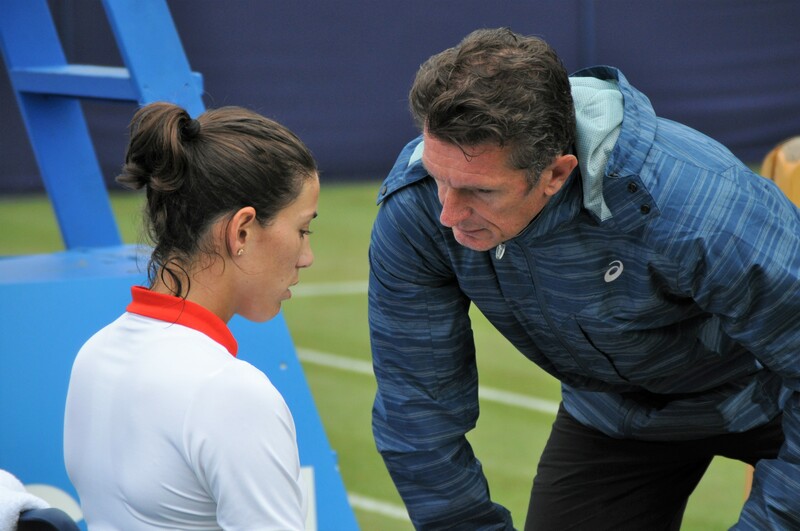 Garbiñe Muguruza and Sam Sumyk on a changeover after three games of her match against Barbora Strycova. Such a rare sight to Muguruza on an outside court! Steely determination from Lauren Davis who will serve for the first set against Agnieszka Radwanska on Thursday’s resumption of play. 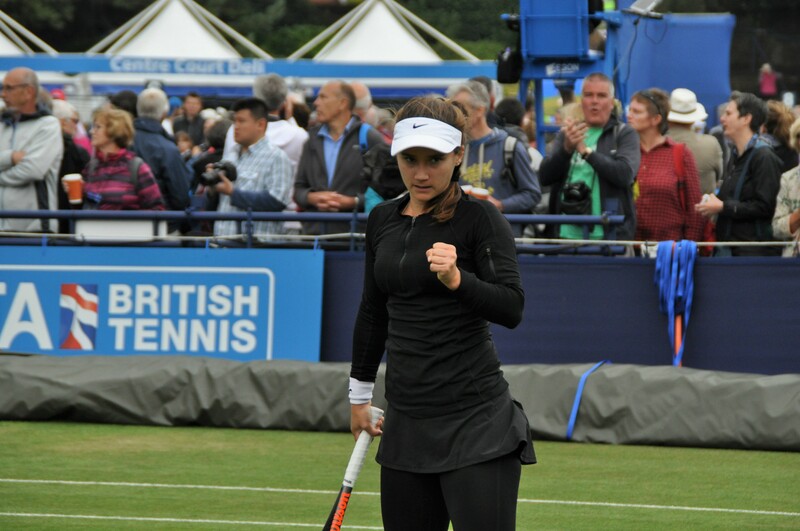 June 28, 2017 in Eastbourne, Tournament Report, WTA. Some good pics there James (I particularly liked that airborne Timea) but crikey what happened in theat match between Garbine Muguruza and Barbora Strycova? Did Bara suddenly start channelling her inner Serena, or did Garbine just collapse in a heap? Only one game against a player more than six inches smaller than her is a painful result (I’ll bet Sam Sumyk wasn’t pleased). Hope you found something to do when it was raining as well. Thanks, Graham! It was an odd one, a bit of both but I did find it to be a bizarre performance from Muguruza. I was standing near Sumyk and could hear him shouting lots of encouragement. Its sunshine and rain at the same time on little Lauren Davis. She got into the main draw on a very lucky loser card, and now has to possibly play a several matches on the same day. Either Radwanska is ill or she just wanted to get out of Eastbourne. The Rad still looks to thin imo. Perhaps she has a new dress for the Wim players party. I agree that Aga’s too thin at the moment, but not that she threw the match so she could go to the Wimby pre-tournament party – to me that doesn’t sound like her at all. OK, fair dos but some people are posting a lot of rubbish about Aga at the moment, particularly on Tennis Forum, saying she *”doesn’t give “two f***s” about how she’s playing because she’s getting married soon etc. Sorry for the misunderstanding anyway. *One look at the picture of her that James posted yesterday should dispel that idea.